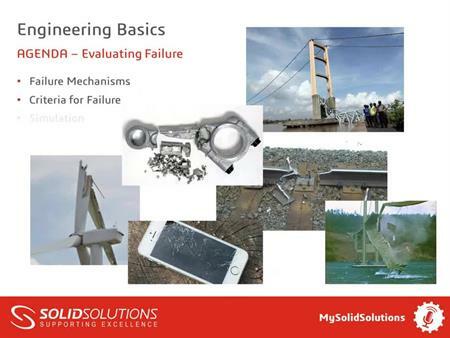 Engineers must understand and be able to predict if their designs will fail. To do this requires a knowledge of stress and strain and the pre-cursor for that is a knowledge of forces. This webcast will introduce basic concepts and explain, with examples, how forces can be calculated and applied to parts. Free Body Diagrams will be shown and the session will end showing how internal forces can also be calculated.